Does Aspirin Help In A Heart Attack? A heart attack occurs when the flow of blood to the heart is blocked. 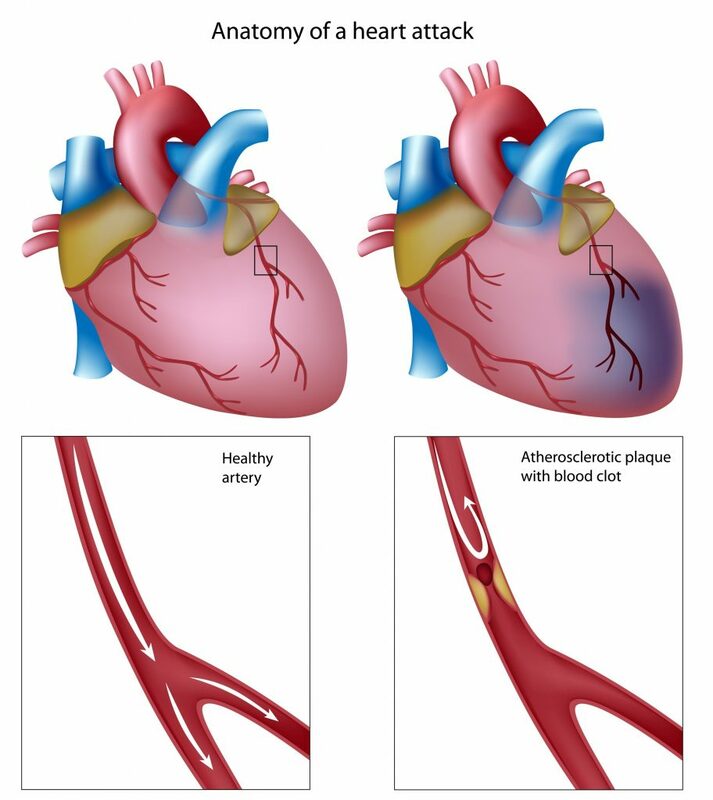 The blockage is most often a buildup of fat, cholesterol, and other substances, which form a plaque in the arteries that feed the heart (coronary arteries). If the blockage is complete, it deprives a portion of the heart muscle of oxygen. As a result, muscle cells die — and it’s a heart attack. Heart attack symptoms can develop throughout several days. What often begins with feeling like indigestion. When antacids don’t help, and your chest freaks heavy with pain leading to your shoulder and jaw it is time to take an aspirin and call 911. Acetylsalicylic acid or Aspirin is a common medication often used as a painkiller. Taking aspirin thins the blood making it less “sticky”. To find out how aspirin works fastest, researchers in Texas asked 12 volunteers to take a standard 325-mg dose of aspirin in three different ways: by swallowing a tablet with 4 ounces of water, by chewing the tablet for 30 seconds before swallowing it, or by drinking 4 ounces of water with Alka-Seltzer. Each subject tried all three methods on an empty stomach on different days. The scientists monitored blood levels of aspirin and its active ingredient, salicylate, at frequent intervals, and they also measured thromboxane B2 (TxB2), an indicator of platelet activation that drops as platelets are inhibited.1In the above study, it was determined that chewing the aspirin worked the fastest and began showing positive results within five minutes. It took almost 14 minutes for the swallowed tablets. Taking a low-dose 81mg Aspirin a day is good prevention for those that have a higher than ever age risk. It is essential to consult a physician before beginning an aspirin regime.